Where to book activities in new zealand. New Zealand is a country where you “do stuff”. There’s so much to do, from skydives and bungy jumps to wine tours and hot pools. With a huge spectrum of activities you are spoiled for choice. However, before the fun begins you need to plan and book your activities. That’s when you need to consider what method you will be using when booking activities in New Zealand. To book activities in New Zealand, you will either book directly with the activity provider, book with an online travel agent (on a website), or through a travel agent. We’ll go through the advantages and disadvantages of each booking method, as well as give you a few tips in this essential guide to booking activities in New Zealand. Once you know which booking method suits you, be sure to browse our Activities section to know what sort of activities are out there to book! Before we get started, here are five quick tips to booking activities in New Zealand. Cancelling activities can be a pain with each activity provider having their own cancellation policies. Only book the activity if you’re sure. If you hate planning, then consider using a travel agent to book your transport, activities and accommodation together. In New Zealand, you can book activities directly with the activity provider whether it’s in their office, online at their website or over the phone. Booking direct cuts out the middleman (the travel agent) which can benefit both you and the activity provider. In some cases, you can get better deals than with travel agents by cutting out the middleman. The activity provider doesn’t have to pay for commission to a travel agent so may give you a better deal. If you see the activity advertised cheaper elsewhere, contact the activity provider to see if they will match it. There’s maximum flexibility with booking directly that you don’t get when booking with an online travel agent. You can book your tour time from all of the options the activity provider has. You can even book way in advance. This is more of the “good guys” approach, meaning that the activity provider who gives you the experience gets to profit from the price, rather than having to split it for commission. If you need to cancel or change your plans, it’s easy to organise directly with the activity provider, rather than having to deal with both in the case of the GrabOne and BookMe websites (see below). On tours with numerous people, you may find a cheaper deal on one of the online travel agents where cheaper tickets are sold for people to “fill up” spaces. It’s up to you to plan and book your tour, which can be a good thing if you prefer to be in charge of your itinerary, or bad if you are hopeless at organising. Check out the BackpackerGuide.NZ DEALS tab to get access to exclusive travel deals that link directly to the activity provider so you get the best deal possible! Online travel agents, or OTAs, are basically websites that sell activities. 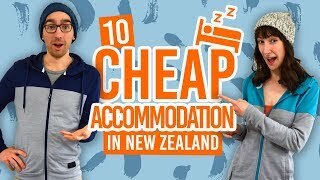 In New Zealand, online travel agents are either travel agent companies with a website giving you the same prices as you would walking into a store (or booking direct), or they are websites selling activities at a hugely discounted price. We’re talking about websites like BookMe and GrabOne. The reason those deals are so cheap is for the tour company to fill up spaces in tours alongside full-paying customers. This is why most of these tours will only run if there are full-paying customers on the tour. Otherwise, it’s likely the tour will be cancelled. The good deals seen on these websites are usually at off-peak times of the day: early morning usually. Cancelling or changing your plans is made more challenging than when you book direct. In most cases, you will need to cancel or change the dates with both the activity provider and the online travel agent, plus pay the cancellation fee of the website. Travel agents and travel agencies are people or companies who plan and book your trip or aspects of your trip for you. Find out more in Travel 101: Booking Direct Vs. Online Travel Agents Vs. Travel Agents. There will be plenty of travel agencies in your home country that can plan and book an itinerary for you. However, we would avoid using overseas travel agencies altogether, and here’s why…Overseas travel agencies are renowned for selling tours and activities for obscene prices overseas. It’s so easy for them because customers who have never been to New Zealand before won’t know any better. 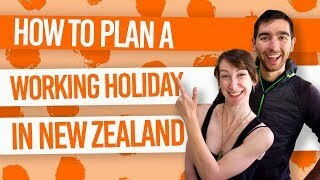 If you want to plan and book activities from overseas, booking direct or with an online travel agency (booked through a proxy site set to the New Zealand server) would be a good alternative. In all the arrival cities in New Zealand, there are plenty of travel agent offices, information centres (like the i-SITE) with travel agents who can help you out. Not only that, but many hostels either sell activities at their reception or have a dedicated travel desk. These are great places to find out about a selection of activities (of course, they will only tell you about the activities that they sell) and get some advice from a real person. Often enough, the travel agent has done the activities themselves and has been a backpacker/is a backpacker. If you are travelling on one of the hop-on hop-off buses, your driver will act as a travel agent by planning and booking your activities along the way. This is one of the convenient perks of being on the hop-on hop-off buses, with most activities having a small discount. For more information on the hop-on hop-off buses, check out What is a Hop-On Hop-Off Bus? and How to Budget for a Hop-On Hop-Off Bus Trip Around New Zealand. It can be difficult to determine whether you are getting a good deal on activities with travel agents. 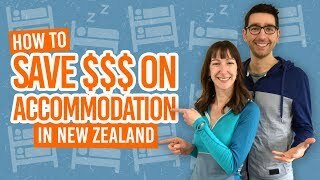 They will often offer a similar price or small discount for activities in New Zealand but nothing significant as they aim to earn commission. Your choice of activities is limited. Because the main aim for travel agents selling activities is to earn commission, they may be influenced to sell you activities which pay them the highest commissions. What’s more, the travel agent will only sell you the activities they sell.